This is a simple guide how to clean your blender in under 60 seconds. Smoothies and shakes are now a days very popular whether it’s a healthy banana smoothie or a less healthy chocolate milk shake with vanilla ice cream. The great thing about a blender is that it’s easy to use and very convenient when you want to chop or blend some ingredients fast. 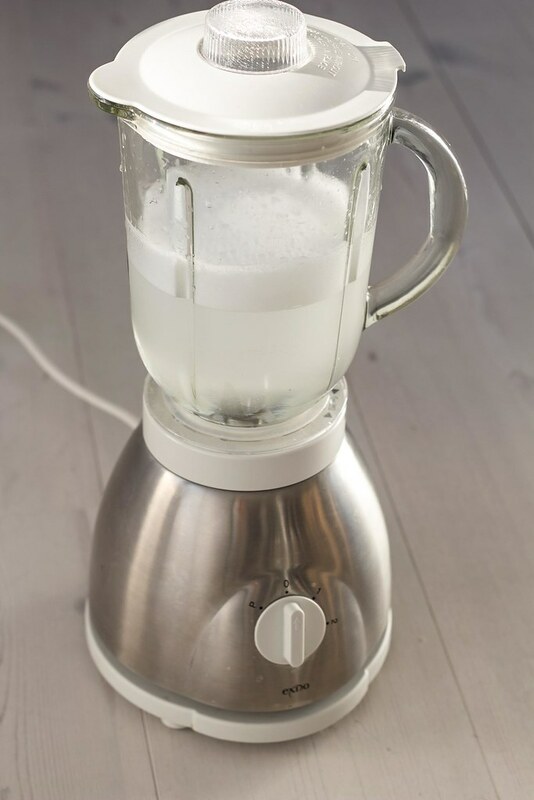 The down side by using a blender is that the pitcher and the lid gets dirty, even though you have only made one glass of milkshake. And then you have to clean the entire pitcher and lid. The easiest way is to use the dish washer, however it does takes up a lot of space. 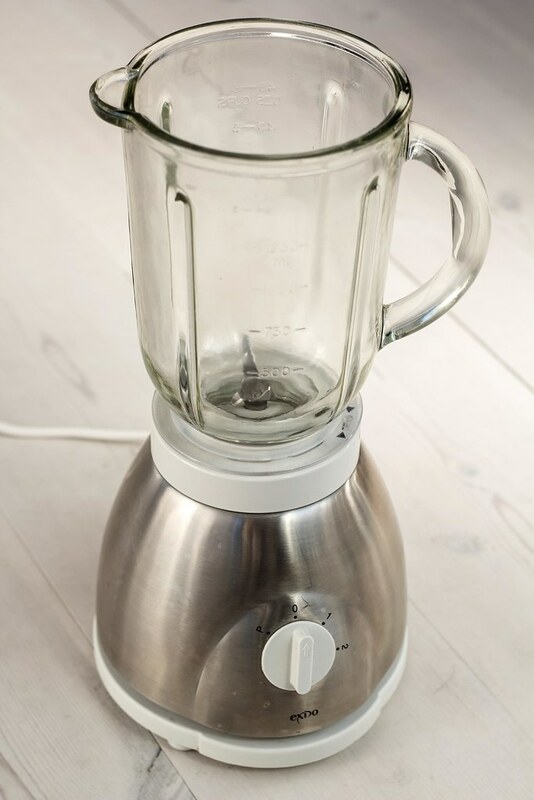 This guide shows you how you can clean your blender in under 60 seconds with minimal work. 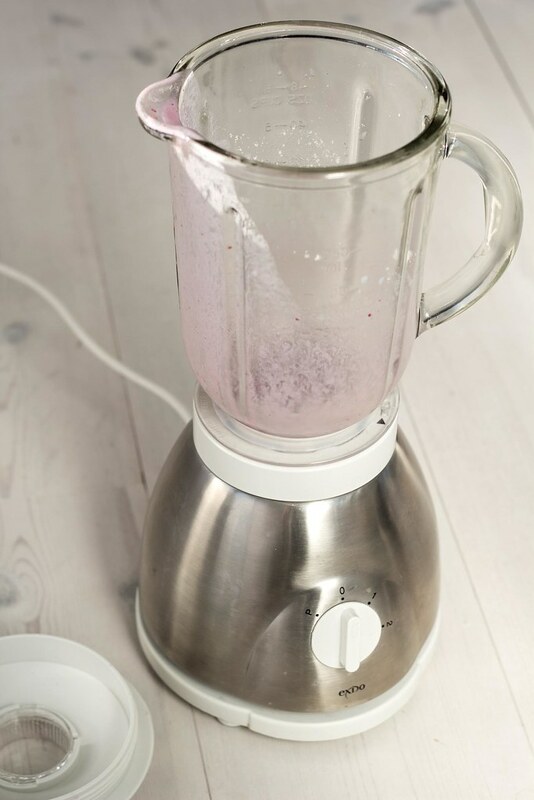 When you are done using the blender, you simply just pour some hot water in the pitcher and add 2-4 drops of dish wash soap. Then you run the blender at high speed for 30 seconds. Pour out the water, rinse it and you are done. Step 1: Start by pouring out most of what’s in the blender. 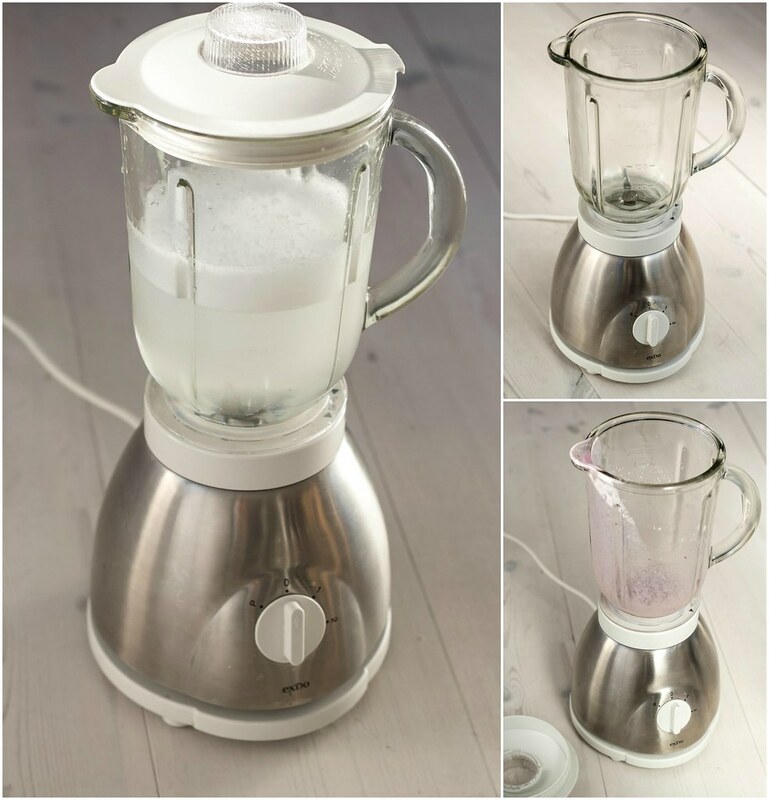 Step 2: Fill the blender with 2/3 hot water and add 2-4 drops of dish wash soap. Step 3: Run the blender at high speed for about 30 seconds. Step 4: Pour of the hot and dirty water. Step 5: Rinse the blender with cold water to get the rest of the soap out. Then use a dishcloth to dry it and you are done.